A law firm has been forced to pay damages for failing to register a property transfer, despite the client having been involved in mortgage fraud. 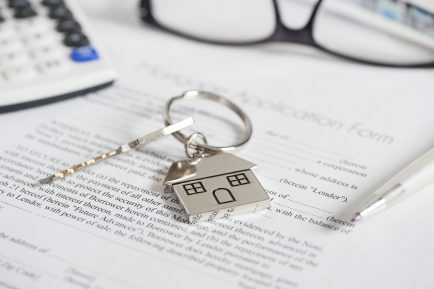 The Appeal Court ruled that the client’s illegal mortgage application was not linked with her claim against the law firm and as a result, the firm could not escape its professional obligations to her. The client, Ms Grondona, had fraudulently taken out a mortgage from Birmingham Midshires to give her associate Mr Mitchell access to finance. Mr Mitchell, who had a poor credit history, had bought a flat for £30,000 using finance from BM Samuels Finance. Three months later he sold it to Ms Grondona for £90,000. She paid for it using the mortgage from Birmingham Midshires. Mitchell paid all the mortgage payments and managed the property and tenants – the aim of the transaction was simply to give Mitchell access to finance by ‘clothing’ Ms Gondola with the legal title of the property. On the completion of the purchase, Ms Grondona’s solicitors Stoffel & Co failed to register the transfer of the property into her name. As a result, the property was still registered in Mr Mitchell’s name. On his subsequent death, BM Samuels Finance sold the property to clear the debts he owed them. Ms Grondona then defaulted on her mortgage payments. When Birmingham Midshires pursued her for payment she accused Stoffel & Co of negligence for failing to register the transfer of the property into her name. In court Stoffel & Co argued that because Ms Grondona’s purchase was fraudulent, she should not be able to sue them for failing to protect her property rights. The judge found in Ms Grondona’s favour, awarding her £95,000 in damages, which was more than enough to repay the mortgage to Birmingham Midshires. She ruled that Stoffel had been negligent irrespective of Ms Grondona’s fraudulent actions. At appeal, the judges upheld the original court’s decision. Reports of the case have been published by the Law Society Gazette, Legal Futures and Capital Law. Brunel Professional Risks is a leading provider of PII insurance broking to the legal profession. To find out more call Mark Sommariva on 0203 475 3275.